She didn’t have a Facebook account. But over a billion people around the world do — and that makes the social network a tempting target for authoritarian regimes, who either want to monitor or control the speech of their citizens. But who could have predicted that the most authoritarian of them all would, once again, be Germany? A power the Stasi — or, yes, the Gestapo — could only dream of has been handed to German Chancellor Angela Merkel. At her behest, the social network has begun a Europe-wide campaign to counter so-called “hate speech” on its platform. It is also working with a German publisher to remove “racist” posts in Germany. With more communication than ever before taking place on platforms like Facebook, this level of censorship is unprecedented. Previously, censors were limited by the amount of people they could send to monitor underground bookstores. Now, with human communication mediated by an-ever shrinking list of tech companies, computer algorithms can be used to monitor and censor the speech of entire nations. The future is here: not the one envisaged by Gene Roddenberry, but by George Orwell. What prompted this sudden, unprecedented wave of censorship? Only the blind could miss it: the worst predictions of immigration sceptics have been realised, with hordes of refugees from misogynistic, war-torn societies unleashing a sea of violence and sexual assault on European society. 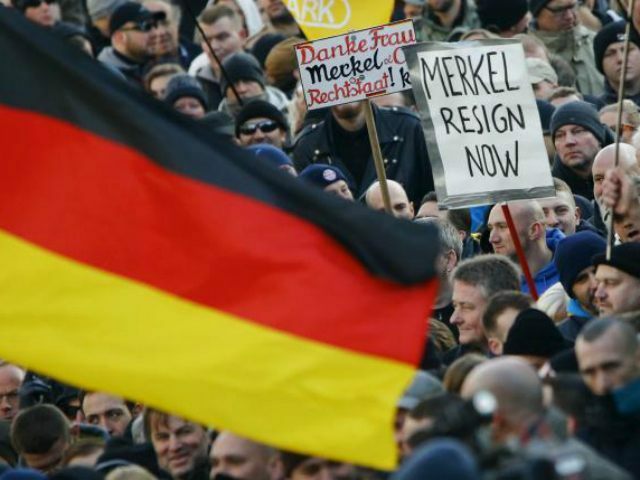 Popular anger at the state of affairs – particularly in Germany – is at an all-time high. Everyone suspects, of course, that “hate speech” is little more than a clumsily-disguised codeword for European anger at the atrocities committed by refugees. With self-defence militias on the rise across Europe, it’s little wonder that elites are concerned. The prospect of a breakdown in law and order, caused by their disastrous immigration policies, is now very real. Instead of admitting their mistake and asking for their citizens’ forgiveness, however, they are committing the age-old folly of elites: trying to suppress the people’s anger from the top down. It’s a dangerous game. Perhaps it’s because she was raised in East Germany, but Angela Merkel is making the same mistakes of the old Warsaw Pact regimes. It’s true that her influence over Facebook gives her greater surveillance power than the Stasi. But if Germans rebelled against the culture of fear — an oppression which in the face of modern technology now seems quaint — how will they react to Merkel?